At the end of each working day, millions of Australians will come through the front door and flick on the light switch or the air conditioner at around the same time. If there’s not enough power in the grid when this happens, there’s a chance the lights may not come on. Most of the time that worst-case scenario doesn’t happen, thanks in large part to dispatchable energy. Dispatchable energy is electricity that can be made available – or dispatched – by a power generator or energy system whenever it’s needed, or switched off when it’s not. It’s a bit like being able to adjust the hot water in the shower if someone decides to run water in the kitchen sink at the same time. Dispatchable energy resources also include home batteries and demand response, where customers can be paid to reduce their electricity use during peak times or emergencies. In addition to helping to meet our demand for electricity at peak times, such as before and after work or on extremely hot days in summer, dispatchable power can also help to smooth out electricity supply when the amount of renewable energy in the grid increases or decreases. This ability to stabilise the power grid makes flexible capacity an important part of Australia’s future, given that future will also involve increasing amounts of variable renewable energy. WHY AM I HEARING A LOT ABOUT THIS RIGHT NOW? Dispatchable power is in the news because the Australian Government asked the Australian Energy Market Operator (AEMO) to find out whether our electricity market has enough dispatchable power to keep the lights on, and how much we are likely to require in the future as more renewable energy sources are added to the nation’s energy supply. Demand for electricity surges on hot days in summer. IMAGE: Adobe. After examining the issue, AEMO told the Government this week that the reserve or backup supply of dispatchable power available in the grid was similar to previous times when there was “load shedding” or blackouts. AEMO said this increased the risk of similar load shedding happening over the coming summer. These are challenges for the nation’s electricity system and the successful integration of renewable energy that ARENA is already tackling in a variety of ways (more on that in a moment). 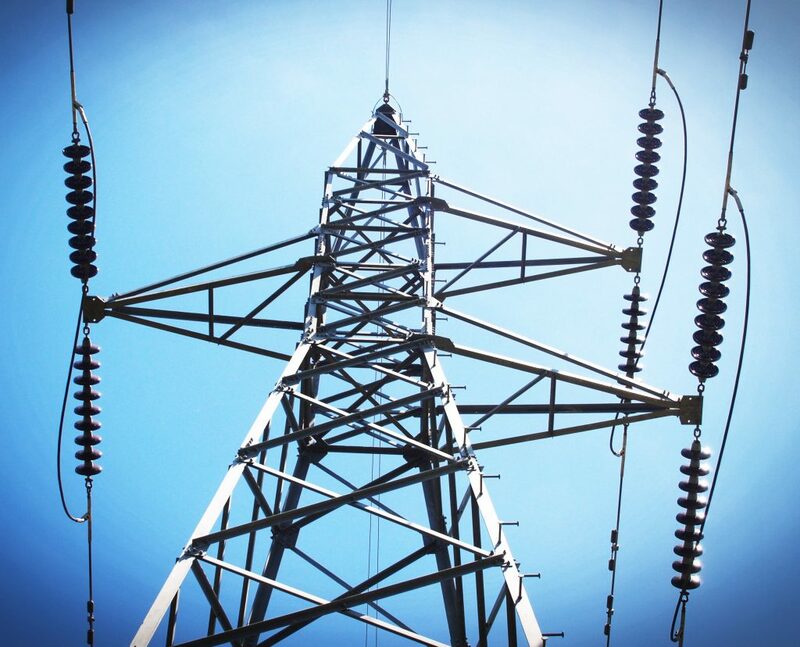 In the short-term, AEMO advised that South Australia and Victoria needed a backup supply or “strategic reserve” of 1000 megawatts in dispatchable energy to protect the supply of electricity to homes and businesses this summer. 1000 megawatts is enough to power 340,000 average homes. Part of that strategic reserve will be created through a project that ARENA and AEMO are collaborating on. The demand response trial will look at creating a group of customers who agree to be paid for reducing their electricity use on request, reducing the load their electricity use places on the grid. This will greatly help to free up electricity supply during peak periods or emergencies. 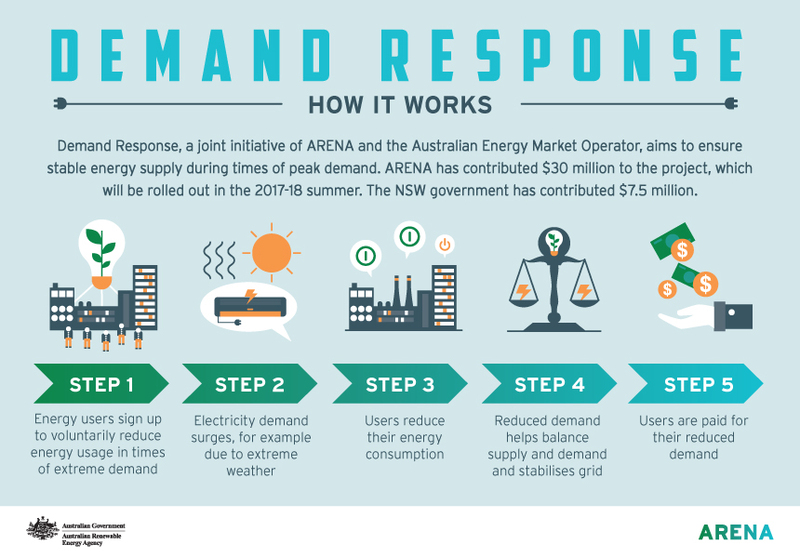 Starting from this summer, the ARENA/AEMO trial will look at how demand response could take the pressure off the grid at critical times, such as heatwaves during summer and cold snaps during winter. READ MORE: Adam Morton’s explainer on demand response and what ARENA is doing. According to AEMO, the strategic reserve could be decreased over the next five years as long as additional dispatchable power is available by summer 2018. This is because the amount of electricity required from the grid is expected to decrease as more households install rooftop solar and adopt energy efficiency improving measures such as LED lights. AEMO also advised that the energy market should be changed to encourage the construction of 1000 megawatts of new dispatchable power that will likely be needed to replace the coal-fired Liddell Power Station when it is scheduled to close in 2022, after reaching the end of its working life. AEMO will be working with industry, consumers and energy market experts to identify how this can be done. However, the high risk of load shedding would continue if increasing amounts of variable energy were added to the grid without being balanced out by additional amounts of dispatchable power or a demand response program. SO WHAT ELSE IS ARENA DOING TO HELP? ARENA has a range of other projects underway or in the pipeline that aim to either increase the amount of dispatchable energy available or help to limit demand for electricity at peak times. As part of our work to ensure renewables are integrated into the grid in an affordable and reliable way, we’re supporting more than 40 projects that include dispatchable power or other types of flexible capacity with more than $200 million in grant funding. 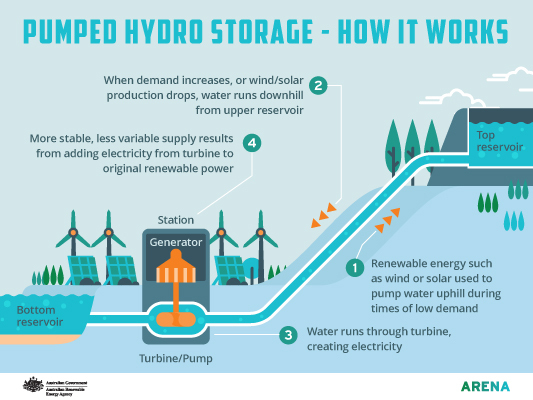 For example hydropower can be generated quickly and at any time, making it possible for renewable energy to be fed into the grid when it is needed, to help reduce surges, avoid blackouts, or meet spikes in electricity demand. Batteries can make stored energy available instantaneously. We’re supporting a unique project by Genex Power at the old Kidston Gold Mine in Queensland to create dispatchable hydropower by converting two flooded mine pits into a giant battery. Solar energy will be used to power this pumped hydro project, which will run water downhill through a hydroelectric turbine to create electricity during times when demand is high. ARENA has committed $4 million towards the feasibility study for the pumped hydro storage project, and $8.9 million for the Kidston Solar Project. We’ve also provided the Australian National University with $449,000 to develop on online atlas of sites around Australia that could also be developed into pumped hydro storage facilities without affecting rivers flows. Another creative solution for dispatchable power is being developed by AGL in South Australia. With $5 million in funding support from ARENA, AGL is creating the world’s largest virtual power plant by installing around 1000 grid-connected battery systems in Adelaide homes and businesses with rooftop solar. Intelligent energy management software built into the battery systems will allow AGL to operate the batteries like a dispatchable power plant, exporting stored solar energy from the batteries into the grid when there is high demand or instability. 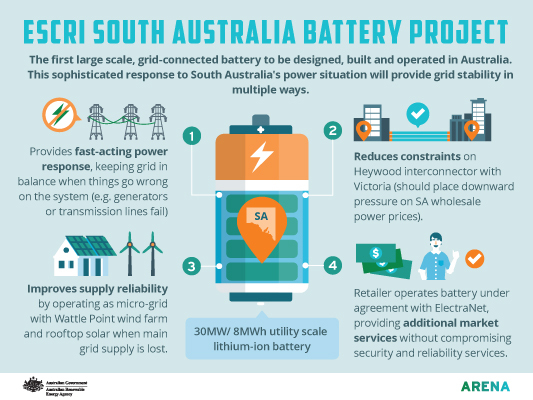 In South Australia, ARENA is contributing $12 million towards the $30 million cost of a 30 MW battery, to be built at Dalrymple substation and known as the ESCRI battery. One of its main jobs will be to inject electricity into the system at short notice – to reduce pressure on the Heywood interconnector, which has limited capacity to import electricity from Victoria. In the event of loss of supply, the ESCRI battery will provide contingency power on the peninsula, effectively working as a micro-grid with the local Wattle Point wind farm and rooftop solar systems. It will be able to deliver the equivalent of 8 megawatt hours of generation, which is enough to run about 400 homes for 24 hours when the wind is not blowing, and longer when it is. In addition to our existing projects involving dispatchable power, we have fast-tracked a number of storage/flexible capacity demonstration projects already in our pipeline this year and sought further expressions of interest for new projects. Eligible projects could include grid-scale battery (similar to the ESCRI project) storage, concentrated solar thermal, pumped hydro and biomass. We’ll be doing plenty more in this space in coming months as we continue to address the challenges of integrating renewable energy to the Australian electricity system. Experience gained from these projects will help us to design a future competitive funding round for more flexible capacity. 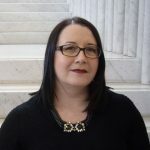 Paula Matthewson is a freelance writer and communication strategist, with advocacy and policy experience in the resources, energy and agriculture sectors.